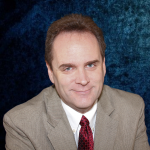 Mr. Mortensen is a successful business development veteran, financial analyst, capitalization specialist, and serial entrepreneur with more than 30 years of hands-on experience in operational, management, and executive roles. His expertise includes startups, financial modeling, private equity, small business capitalization, business process development, marketing and sales, strategic planning, product development, video production, troubleshooting, training, and international business. He is also proficient in information technologies, social media production, software development, and many engineering and manufacturing methodologies. His strategic approaches have worked effectively on projects with NASA, Samsung, General Electric, and many other large and small companies around the world. After 15 years in the engineering and manufacturing industries, Mr. Mortensen began consulting with small businesses. He developed processes and approaches that enabled hundreds of clients to raise many tens of millions of dollars from private investors, and achieve a wide range of other positive business outcomes. He has enabled small companies to successfully penetrate markets dominated by industry leaders, grow revenue and profit during periods of significant decline, build and sustain effective new distribution channels, triple sales closing ratios, successfully integrate business acquisitions, and much more. Mr. Mortensen has enabled companies to successfully penetrate new markets, grow revenue and profit during periods of significant decline, build and sustain effective new distribution channels, triple sales closing ratios, successfully integrate business acquisitions, and much more. He has spent more than 24 months on international assignments throughout Asia, Latin America, and Europe, and is fluent in Spanish and reads several other languages. Mr. Mortensen is an equity holder and active participant in a variety of financial, technology, and business service companies. 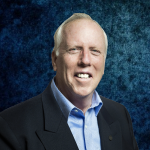 He has been an active member of The Executive Committee (today known as Vistage), a regional business ambassador, and is a published columnist and Eagle Scout. Mr. Morris has over 40 years’ experience in finance, operations, marketing and sales, business development, and consumer product development. His expertise includes financial forecasting, financial management, financial reporting, organizational management, human resources, and compliance. He is also well grounded in current computer technologies including hardware, networking, enterprise software, web development, and e-commerce applications. He enjoyed several decades of significant success in marketing and sales with large multi-national corporations Knight-Ridder and Time Warner. At these companies, he became a divisional leader in marketing and sales growth, and was a respected go-to resource for new marketing and product launch ideas. Subsequently, Mr. Morris entered the field of business consulting to support the establishment and growth of start-up and emerging companies. All the companies he helped through the startup phase are still in business or have been acquired, and most of his clients were able to double their gross income over a two or three year period. As an entrepreneur, he has launched and grown several of his own companies, and knows from first-hand experience the challenges and opportunities associated with business capitalization and successful growth. Mr. Morris has a B.S. in Psychology, and a Masters in Business Administration and Finance.